Inspirational brothers Tom and Jack Mayoh have captured the hearts of the nation. 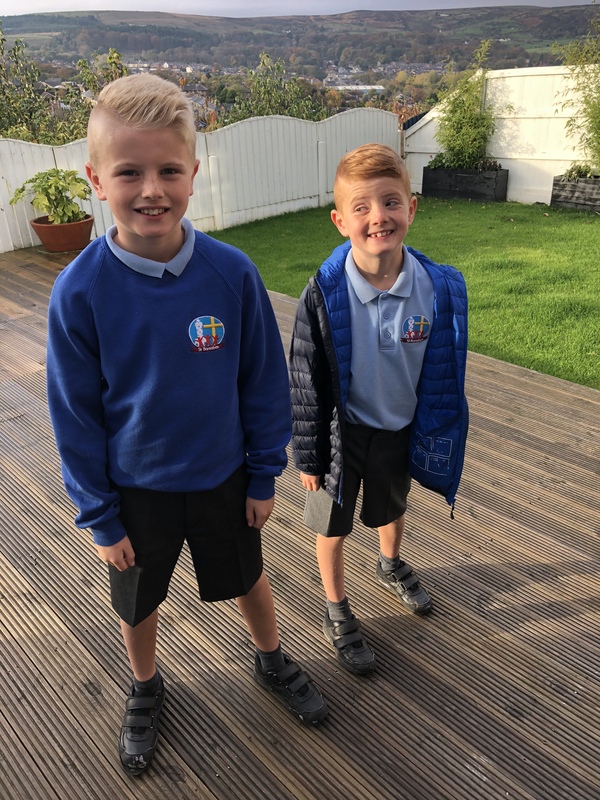 Tom, 10, and Jack, 8, from Darwen, set themselves the brrrr-ave challenge to wear their shorts to school all winter to raise money for East Lancashire Hospice - the charity that cared for their late mum Louise. Louise sadly died at the hospice aged just 39 in July from breast cancer and her family have praised the care given by all hospice staff during this difficult time. Initially, the boys set themselves the fundraising target of £1,000 and have so far appeared on Granada Reports, invited into the Granada Reports studio, filmed for the national ITV News, appeared on BBC Radio Lancashire, 2BR Radio, featured in the Lancashire Telegraph, the Daily Mirror and appeared on Granada Reports again just last week. Their fundraising total currently stands at £13,779, with 615 supporters donating to the cause – but the boys are not stopping there. They want to raise as much money as they can until the end of their challenge - the first day of spring 21 March. The boys have now been rewarded for their bravery and charitable efforts by being presented with the North West Tonight Christmas Star award in front of all of their classmates at St Barnabas School in Darwen. The footage, presented by North West Tonight’s Dave Guest, was aired on Wednesday at lunchtime, and again in the evening. The boys, who will face their first Christmas without their mum this year, were nominated for the Christmas Star award by Richard Harfield, whose daughter Gracie is in the same class as Tom. The boy’s dad, Gareth Mayoh, said: “I think it’s fantastic that Tom and Jack have been given this award in recognition of all their hard work over the last couple of months. North West Tonight Christmas Stars’ are presented to people who have been nominated by members of the public and are given to those who have made a real difference in their community. Tom and Jack’s unique story stood out from the hundreds of other nominations and the panel of judges deemed them worthy winners. The boys were speechless when they were presented with the trophy by Sharon Crymble, fundraising and lottery manager at the hospice, during their school worship assembly. Sharon said: “Everyone at the hospice is thrilled that Jack and Tom have won this award. They truly deserve to be recognised for the sheer determination of braving these very cold days to raise money in memory of their mum.